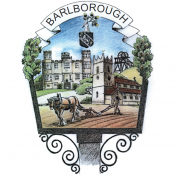 The Precept is that element of your Council Tax that is paid to Barlborough Parish Council. Every year, the Parish Council draws up budgets and calculates how much money it needs for the next Financial Year. These are usually finalised at the January Full Council meeting and then submitted to Bolsover District Council. BDC co-ordinate the other demands from Derbyshire County Council, Police, Fire Authority and themselves and come up with the rate to be paid from 1st April that year. Further details of the Parish Council's budgets for the 2018/19 Finance year can be obtained ftom the Parish Clerk.